What is baptism? What does baptism do? Who should be baptized, and why? Below is a short summary that answers these questions. Starting with the Foundation: Who saves? Baptism is a great and holy gift from God, and here at Trinity we love to baptize! Nevertheless, it is important to stress first and foremost that it is Christ who saves. “It is only for the merit of our Lord and Saviour Jesus Christ by Faith, and not for our own works or deservings”. In other words, it is not by the things that we do that we are saved. God saves graciously through Christ’s death and resurrection. Baptism is not something that we do to earn salvation. It is not our action for an ungracious God. Instead, as we shall see, baptism is a gracious work of God on our behalf. Salvation is solely of Christ’s merit. He is the one who has earned it on our behalf. So God “communicates to us the benefits of redemption” through means of grace. One very common means of grace is preaching. Many times, people will say: “I was saved when I heard the gospel on one Sunday morning”. They are not saying that the preacher saved them. Rather, it was God who saved through the preacher’s sermon, mouth, lungs, etc. Notice the wording: not only “badges”, but “effectual signs of grace…by which he doth work invisibly in us”. So then, sacraments are actions through which God acts to save. The problem is that very often people understand sacraments to be something that they do for God. It is a badge that we wear. It is some action we perform to profess our faith or please God. Not so, the articles state: they are divine actions whereby God accomplishes salvation. In fact, Paul says this very thing in several of his letters. In Titus 3:5, Paul says, “he saved us, not because of works done by us in righteousness, but according to his own mercy, by the washing of regeneration and renewal of the Holy Spirit”. 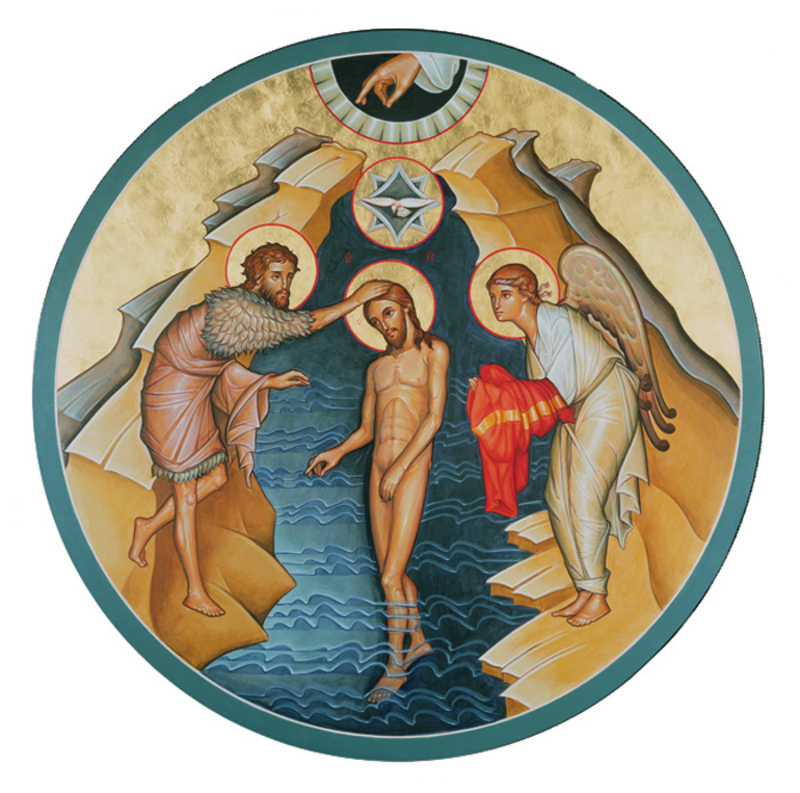 This “washing of regeneration” is a reference to Christian baptism. Paul also says in Romans 6:4 that we were buried with Christ in baptism. Through baptism, we participate in Christ’s death and resurrection, in the fruits of his saving work. The 39 Articles say that for those who receive baptism rightly, that as “by an instrument, they…are grafted into the Church” (XXVII). So then, baptism delivers the goods of Christ’s salvation. All that being said, it is important to emphasize that baptism is not a “one-and-done” event. It does not automatically save. The Reformers knew this important fact: baptism must make its way into the personal faith and life of the recipient. In fact, if we do not receive our baptism by faith, it has no effect. To put it another way, baptism isn’t a magic ritual. Baptism must be, as the 39 Articles say, “rightly received”. By this, the Articles mean to say that sacraments do not work apart from the faith of the individual. People are not objects to simply be worked on. People are humans with wills and hearts that must receive and believe God’s gracious gift given in baptism. This is especially relevant for infants admitted to baptism. Infants who are baptized ought afterward to be raised in the church, taught, and nurtured to mature faith. They should be raised within the embrace of God’s people. If a child is baptized in the church, and never sets foot in the church again, there is simply no reason to believe that on the basis of their baptism alone, they are saved. Baptism’s effect on our lives should span the entirety of our lives. It should work it’s way into daily repentance and obedience to Christ. 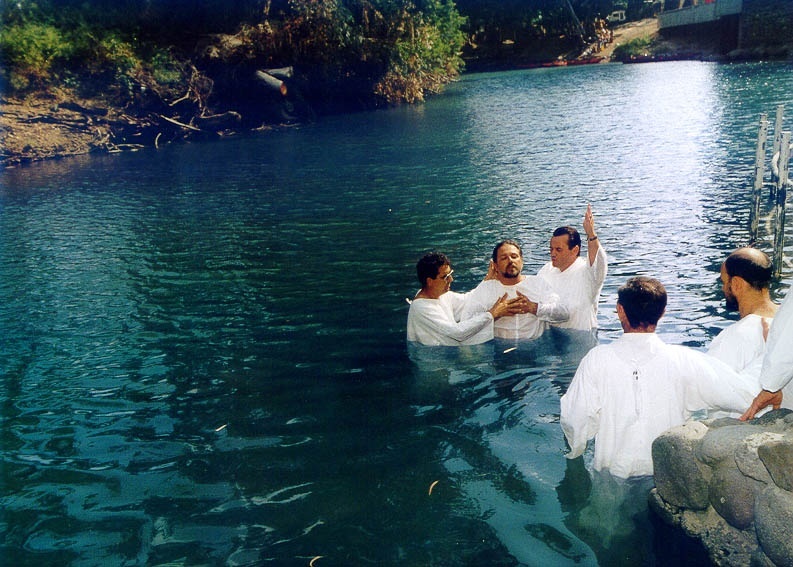 If it doesn’t make its way into daily living, the baptism has not had its effect. This is why Christians throughout history stressed to such a great degree the difference between the outward element of water, and the inward reality of being cleansed by the Holy Spirit. It’s easy for water to be poured on the head. It’s supernatural for the water to make its way to our hearts. Baptism must be believed and received; claimed in faith by the recipient. Otherwise it has no effect. Notice the wording: baptism’s efficacy is not “tied to the moment” of its administration, but according to God’s “appointed time”. What the confession means to say is that baptism’s saving efficacy is not bound to the moment the water hits someone’s head. Water doesn’t have that sort of power! Rather, baptism has its effect through God’s Spirit, who confers the graces of baptism when he pleases. Baptism, properly, does not look back (OK, I’ve been baptized) but forward to God’s continued work to establish faith and holiness in the recipient. After reading this, one might ask: if baptism doesn’t automatically save — if it must be received and believed — why baptize infants? Why not wait for them to make a decision for Christ, and subsequently baptize? A first thing to note is that Anglicans do not exclusively baptize infants. We also baptize adults believers too! Anglicans have always been keen to the reality that the church exists to make disciples, and this includes adults as well as children. Nevertheless, it is important to consider: why baptize infants? If infants cannot make a commitment to Christ, why not just wait until they are of age to do so? The reality is, God has always embraced the children of believers into his fold. It is not simply a New Testament practice, but also a practice found in the Old Testament! In fact, during every era in history, God has graciously included believers and their children into his saving graces. But where do we find this in the scriptures? “Repent and be baptized every one of you in the name of Jesus Christ for the forgiveness of your sins, and you will receive the gift of the Holy Spirit. For the promise is for you and for your children and for all who are far off, everyone whom the Lord our God calls to himself” (v. 38-39). Peter commands the Jewish people to repent and be baptized, and promises that through this baptism, they will receive the Holy Spirit. What is important for us to note, however, is that this promise is not simply for the believing adults. It is, as Peter says, “for you and for your children”. This presumes that the children of these new believers were admitted to baptism, and that the same promises given to their parents were given to them. In other words, children of believers were included along with their parents into God’s gracious embrace. Another important thing to note in this passage is that when Peter says, “this promise is to you and your children”, he is quoting from the Old Testament. In Genesis 17, God says the exact same thing to Abraham. However, the context is not baptism but circumcision. Circumcision, not baptism, was the initiatory sacrament in the Old Testament. If someone desired to become part of God’s people, they had to be circumcised. However, circumcision wasn’t simply given to adult converts. Rather, as God commanded, it was given to every male adult and his children. In fact, every male child was commanded to be circumcised at the eighth day. What that meant for the Jews was that it was commonplace for children to be included in God’s people. Peter quotes Genesis 17 in his sermon to signify that now that Christ has come, there is a new initiatory sacrament, baptism; and this sacrament is given to adult believers, and also their children, just as it was in the Old Testament. What all of this means is that God included the children of believers in the old covenant, and he does the same in the new! Children are graciously received by God and included in Christ’s covenant people. This is curious statement: quite obviously the church is to administer baptism, but what does it mean for the Christian to use their baptism? Jenson, as one might expect of a good confessional Lutheran, is borrowing from Luther’s ethic of the daily use of baptism, or, put another way, the daily return to baptism. This is most prominently outlined in Luther’s Large Catechism. Notice that for Luther, a sacrament is something taken up into God’s Word and made holy thereby. So before the sacramental word is spoken, it is natural water; but after the Word is spoken over the elements, it is sanctified. Next Luther asks: what does baptism give? Luther says simply: “This is the simplest way to put it: the power, effect, benefit, fruit, and purpose of baptism is that it saves” (LC 4.23). Wow! How can baptism do such a thing? For Luther, the water, when it is gathered up into the Word of God, is made holy, made to participate in and bestow God’s life. Thus, when baptism is applied, it gives what the Word names: the life of Father, Son and Spirit. OK then, but still, how do we use this holy baptism? He answers this by asking in the third part of this section: what does baptism signify and why did God ordain it? This imagery is incredibly important to Luther. Baptism signifies and works the slaying of the old man and raising up of the new. And this work of slaying and resurrection, as Luther says, must continue “our whole life”. For Luther, the Christian life is not a metaphysical improvement from being less to more holy. Rather, sanctification is living within the gift bestowed in baptism, never moving from the reality of dying and rising. Every day is a living out of the reality of baptism. There is no ascending to heaven. There is only death and resurrection. Finally, Luther mentions the sacrament of penance, which for the medieval church was “another chance” at grace, as it were. If, after baptism, you sinned “mortally”, you could always go to the confessional and make penance. But for Luther, penance and baptism are not two different realities. Now we may come to what Jenson meant by “using” baptism. He meant: do not progress past it. Always live in it. For in baptism is the very life of God given; the life of Father, Son and Spirit; living out the reality of baptism. And thus, the Christian life, as Luther says, “is nothing else than a return to baptism” (LC 4.77). This is at the heart of Luther’s “daily use” of baptism. What a treasure!